Food insecurity refers to the USDA’s measure of lack of regular access to nutritional food for an active and healthy life. The food insecurity rate in Clark County is 12.0% of the total population, and the child food insecurity rate is 15.6%. Last year, Dare to Care distributed enough food to provide 1,055,000 meals to Clark County families in need. Of that, 391,000 pounds were fresh produce, which was distributed for free. 36-year-old Amanda spends the majority of each day caring for her disabled father, who needs help preparing heart healthy meals, while managing daily self-care tasks and keeping a careful eye on her 6-year-old autistic son, who doesn’t communicate verbally. Full-time assistants for her family members would add up to more than she could bring home, so she has decided to dedicate her time to taking care of both of them. “It’s hard. I’m overwhelmed. I come up here and it helps a lot. 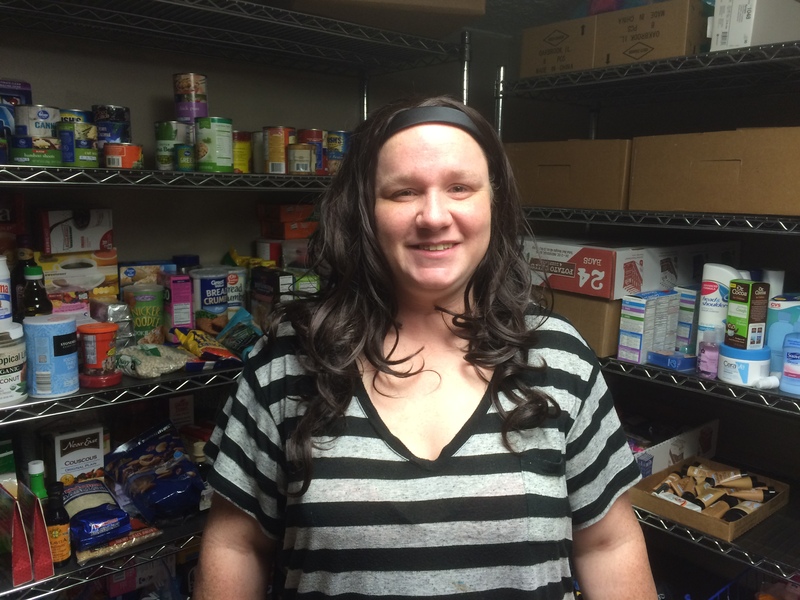 At least we aren’t starving,” Amanda says gratefully of the food she receives from Dare to Care, at the First Baptist Hope Center in Charlestown, Indiana. Thanks to the suggestion of a friend, who recommended Dare to Care, Amanda says she has some relief. “They give us a pretty good amount of food. It takes the burden off,” Amanda says. Without Dare to Care, she says she and her husband, would be continually forced to ask people to help out. With the food assistance Dare to Care provides, Amanda and her family have hope, a hope she would encourage others in need to seek out. “If you need help, go get the help you need, because Dare to Care is here to help,” Amanda claims with confidence.